The cast for Star Wars: Episode VII - The Force Awakens was announced three years ago today. The list of stars included then unknown John Boyega, Daisy Ridley, along with more well known stars Adam Driver, Oscar Isaac, Andy Serkis, Domhnall Gleeson and Max von Sydow. The announcement also included the list of original cast members including Hollywood legends Harrison Ford, Carrie Fisher, Mark Hamill and other stars from the Original Trilogy Anthony Daniels, Peter Mayhew and Kenny Baker. Director of the film J.J. Abrams said at the time: "We are so excited to finally share the cast of Star Wars: Episode VII. It is both thrilling and surreal to watch the beloved original cast and these brilliant new performers come together to bring this world to life, once again." J.J. Abrams referred to the film as Episode VII because this was at a time when the name of the film remained undisclosed. The title would be revealed later that year in November 2014. 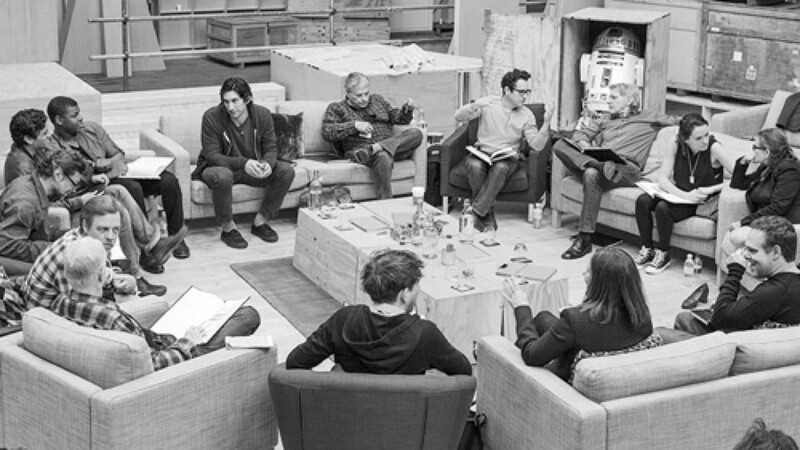 The cast announcement came accompanied with the now iconic black and white photo of the entire cast sitting round a table and all of them and reading the script of Episode VII in character.